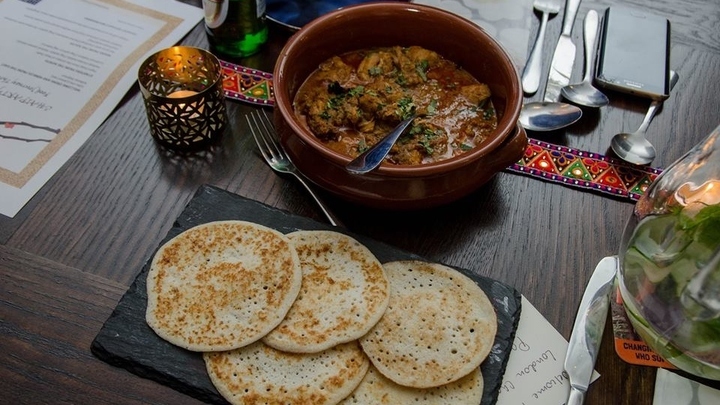 £35 for tantalizing 3 course Chaat menu with specialty drinks included. All proceeds go towards Nepal Earthquake Relief. We're partnering with Chit Chaat Chai to bring honest authentic Indian Street Food to London for a very special supperclub. In collaboration with ex-Princes Trust Guest Chef Shad, Tania and Dhruv from Chit Chaat Chai will be hosting a tantalizing 3 course Chaat menu with specialty drinks and of course our signature House Chai. In addition to this, diners will be invited to take part in our Grand Raffle with prizes kindly donated by our friends. Thanks to the generosity of the Chit Chaat Chai team, event sponsors and guests, all proceeds of the event will help provide critical support to the communities in Nepal affected by the devastating earthquake and assist them in rebuilding their future. Chit Chaat Chai have partnered with us at Find Your Feet to help support our programme in Nepal, and the humanitarian aid charity, Care International. Our Curry for Change partners are kindly donating their products too with Natco Foods donating ingredients for Chit Chaat Chai to create their tasty menu and Kingfisher donating beers for guests to enjoy. So what are you waiting for, get your tickets today before they sell out! And remember, every penny raised for Find Your Feet's Curry for Change campaign will be matched by Natco Foods to help make double the difference.